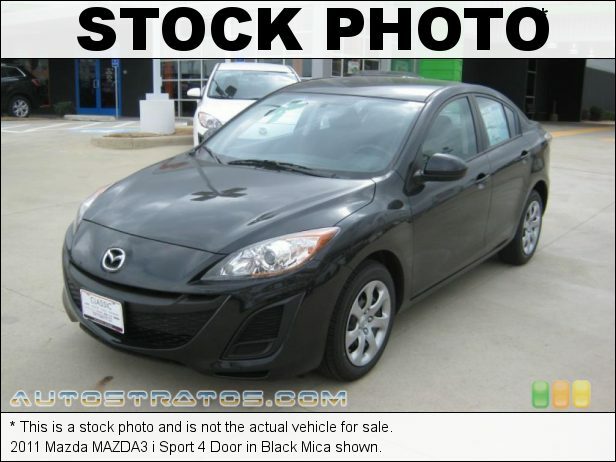 Our 2011 Mazda Mazda3 iSport is more entertaining and sophisticated than you might think. This is a great car that should be at the top of your list. Under the hood of this Sedan, is a 2.0 Liter 4 Cylinder that offers 148hp while connected to a fun to drive 5 Speed Manual transmission. This Front Wheel Drive combination offers near 25mpg on the open highway while making you look pretty good! Our iSport is a class leader in terms of interior design, quality and feature content. Our Mazda3 sports premium seating, easy to operate controls, easy to see gauges, and an auxiliary audio jack along with an amazing audio system. You will find our Mazda3 feels safe and offers a thoroughly satisfying driving experience. So, today can be your day. Print this page and call us Now... We Know You Will Enjoy Your Test Drive Towards Ownership! Make the Classic Choice, at Classic Honda Streetsboro Ohio, for your next pre-owned vehicle purchase. Any questions please call 330-422-7000 and ask to speak with one of our professional and courteous sales people. Feel free to reach out to me (Used Car Manager T.J. Ketchem) directly 440-536-1898 call, text, or email at (tketchem@driveclassic.com).